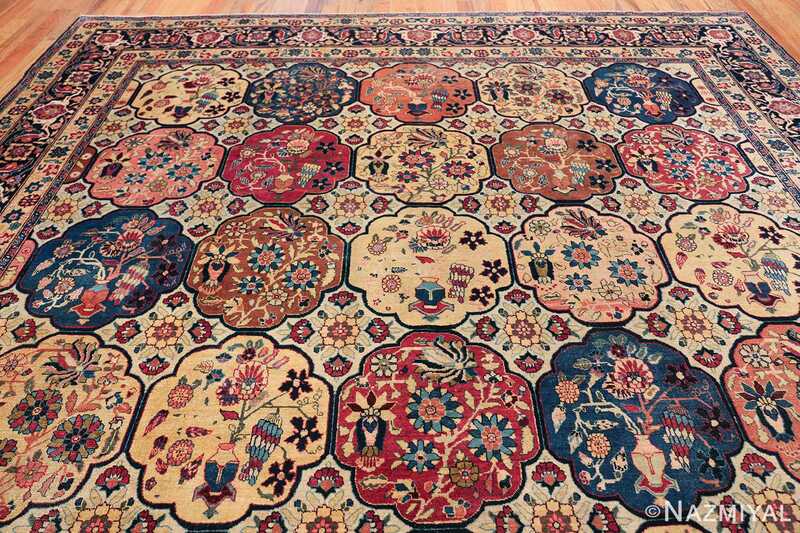 Magnificent Garden Design Room Size Antique Persian Tabriz Rug, Country of Origin / Rug Type: Persian Rug, Circa Date: 1920 – This beautiful antique rug is an excellent example of why Tabriz remained a Persian rug making center that was known for its exquisite artistry for many hundreds of years. 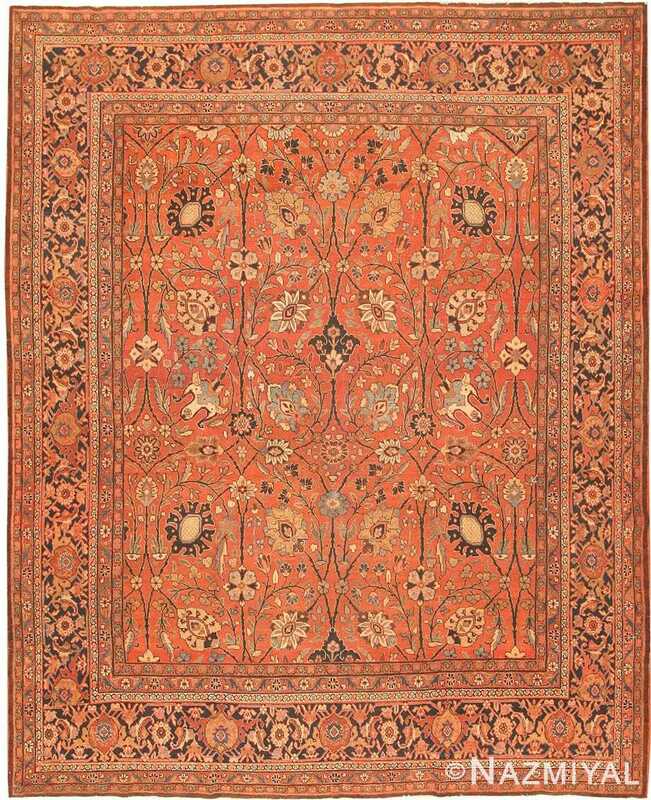 This antique Persian Tabriz rug dates back to around the 1920’s and features a beautiful rendition of the iconic garden design. 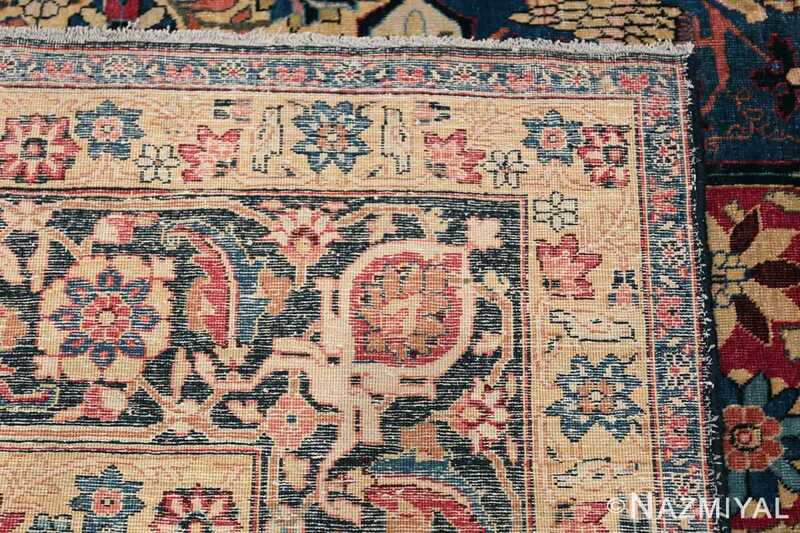 The colorful designs of the antique Persian rug present the viewer with glimpses into little garden scenes, as if they were peering at them through a window. This antique room size are rug uses every color imaginable to create a splendid design that has something new everywhere you look. 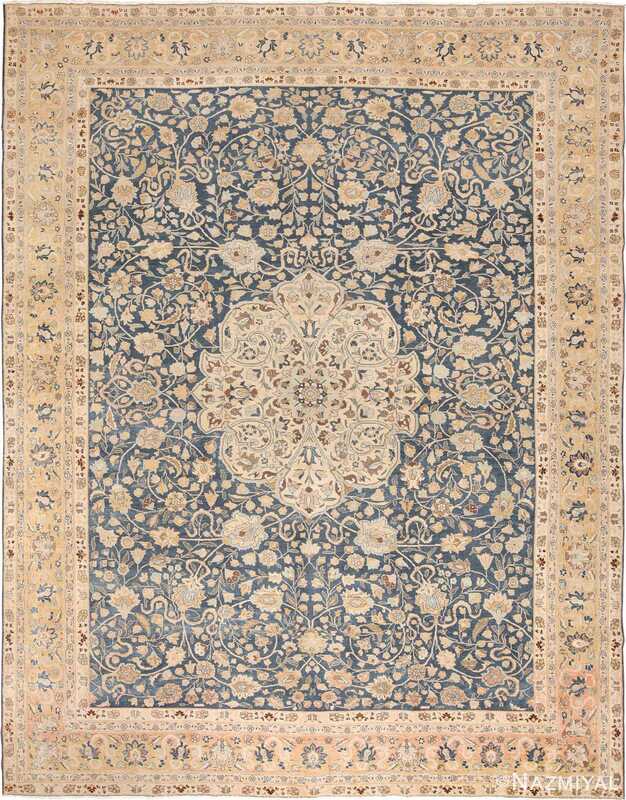 It is executed with a high level of detail, using outlines in contrasting rug colors to make the shapes and design motifs stand out. 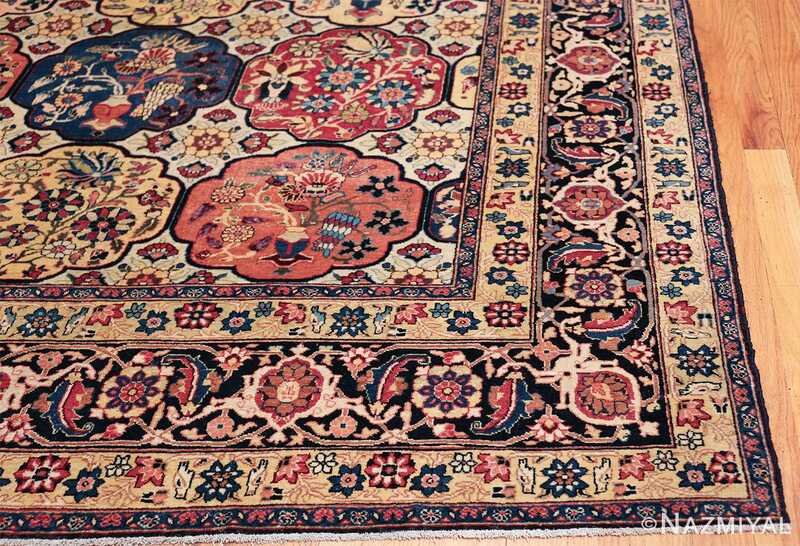 Brilliant blue, red rust, yellow, pink salmon, ivory, brown and green create a never ending pallet of sumptuous colors throughout the entire piece. 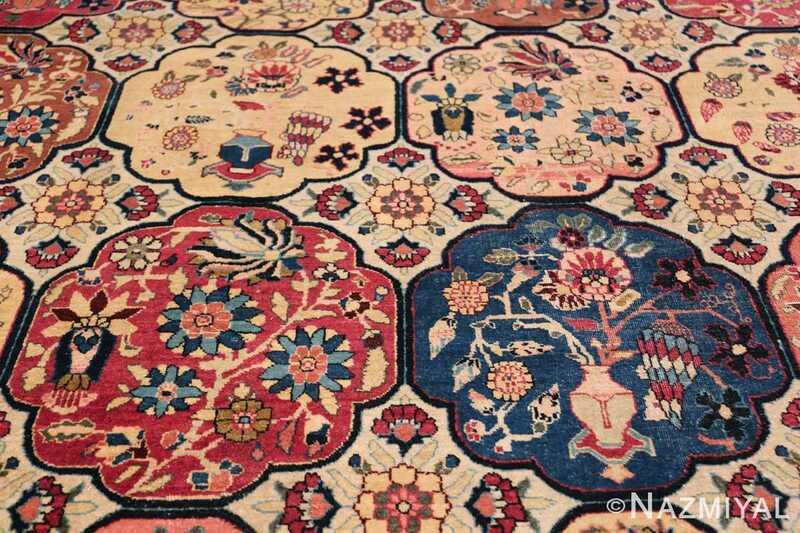 The design of the room size antique Persian Tabriz rug is based on an all over field configuration with several layers of formal borders. 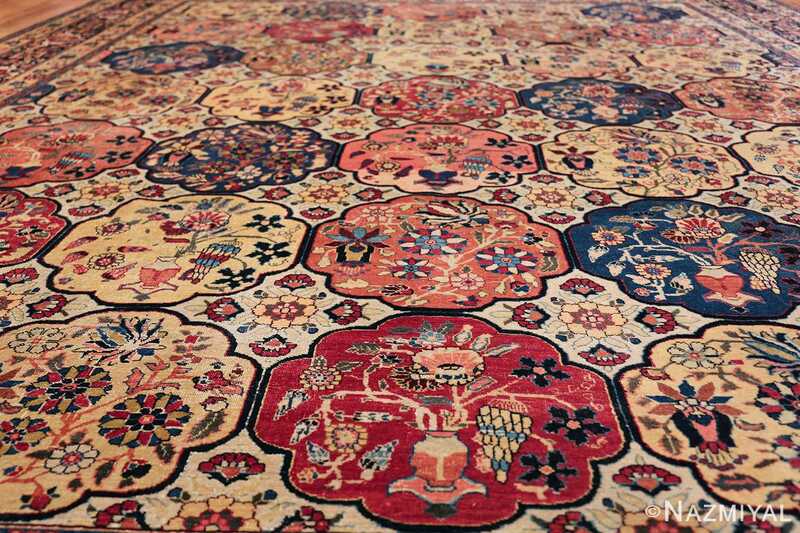 The field consists of uniform geometric box like shapes, all of which appear to be contained within the formal borders of the antique Tabriz rug. This forms an organizational theme for the design and a formal structure that has both vertical and horizontal symmetry. 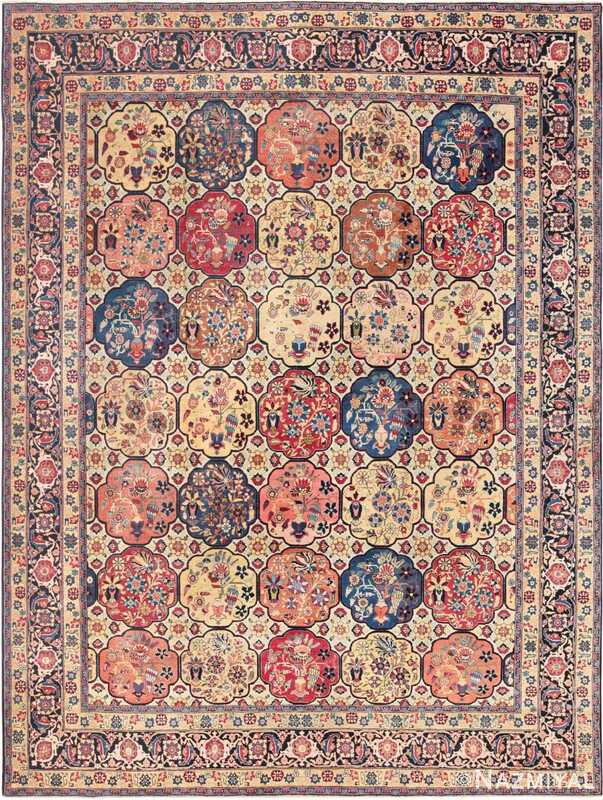 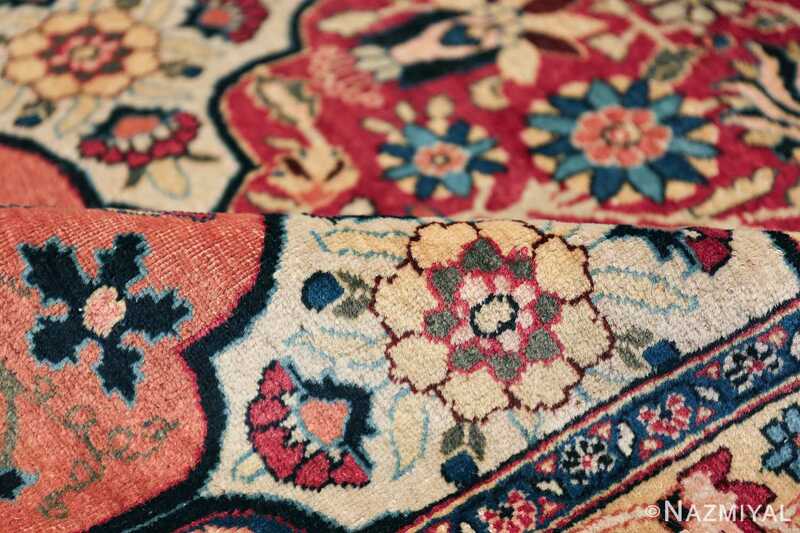 Perhaps the most delightful component of this Persian Tabriz rug is that even though it uses tiled geometry to form the theme, within each tile is a delicate design that is unique from all of the others. The color distribution of the tiles appears to be random, giving attention to the formal placement of form, but not to color. 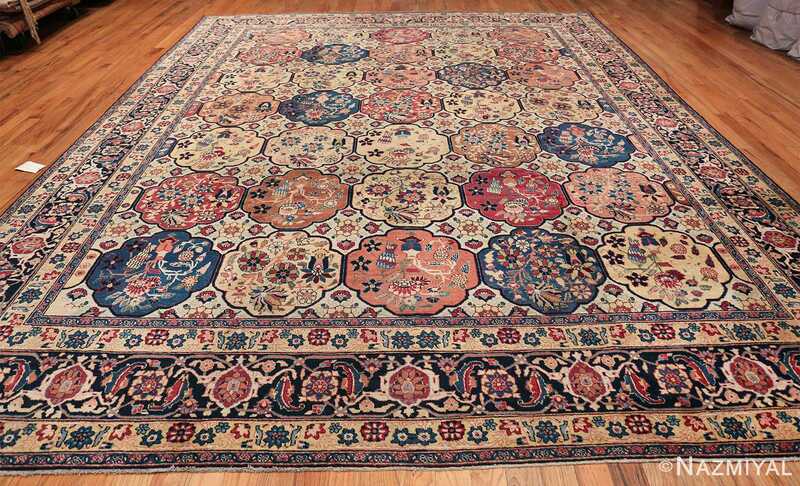 This delightful charming room size antique Tabriz Persian rug is a unique piece that will add interest to any room design. It works well in a traditional design, or to add interest and color to a pallet that includes modern lines and minimalist elements. 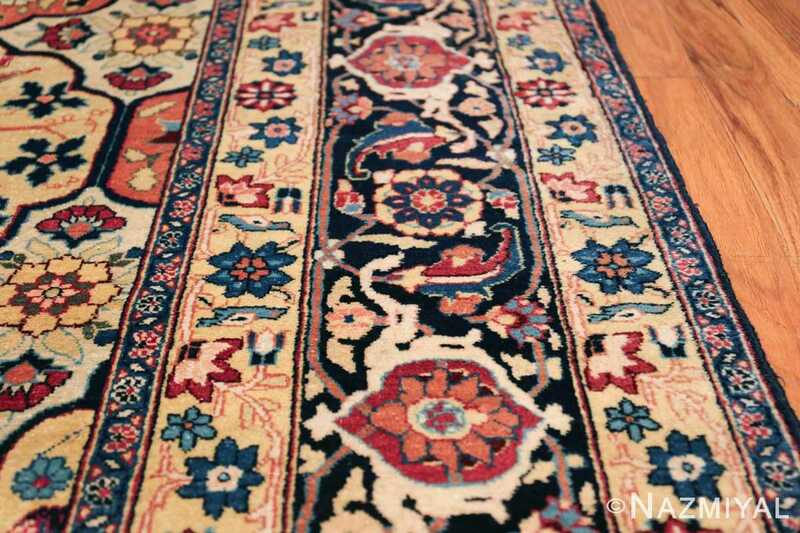 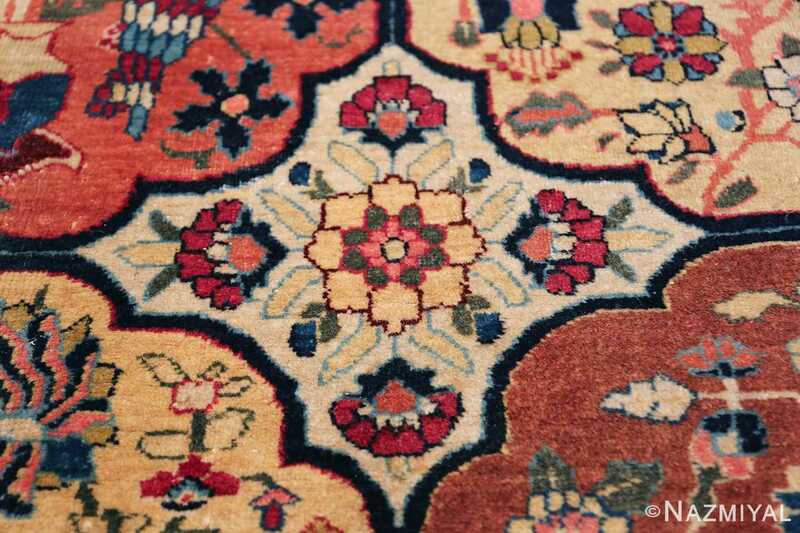 It is a beautiful piece that is unique and shows off the true artistic talent of the Tabriz rug makers. 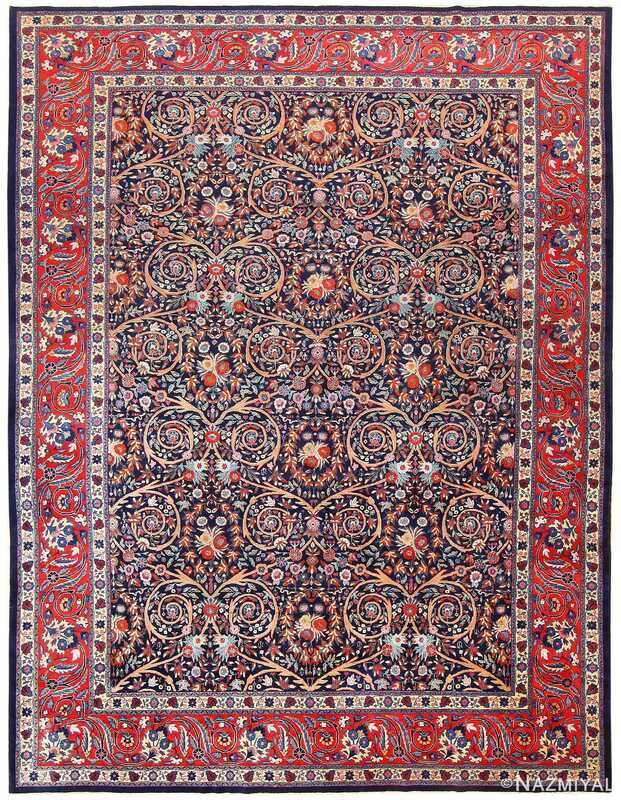 A swirling array of fine, intersecting spiral vinescrolls and lush palmettes spreads with graceful poise across the rich terracotta field of this classic Persian Tabriz.